Costa Cruises has received its newest cruise ship the Costa Diadema from the italian ship builder Fincantieri. The ship was built at the Fincantieri Marghera shipyard which is a popular choice for Carnival owned cruise ships. The large vessel will also be the new flagship of the Costa fleet. 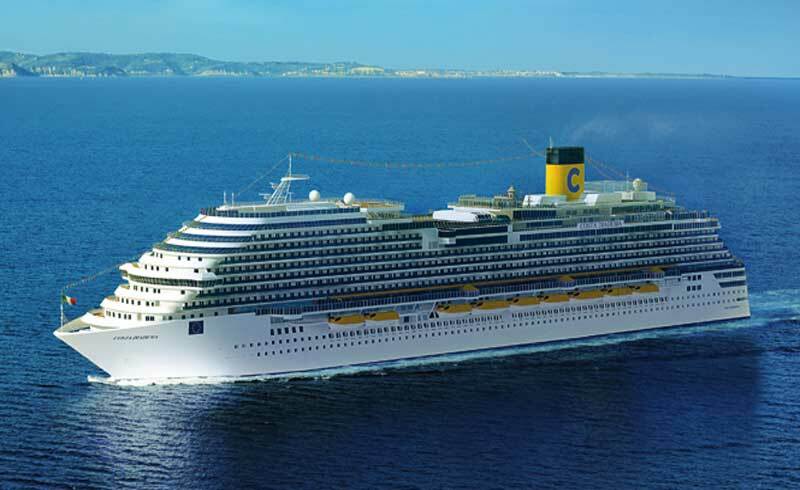 Costa Cruises has invested a total of around 550 million euro in the construction of the Italian based cruise lines most advanced ship. The project has involved approximately 1,000 shipyard workers plus another 2,500 subcontractors and about 400 contracted suppliers, most of which are Italian firms, engaged for the fitting-out of the interiors of the cruise ship. Costa Diadema is the 12th cruise ship built-in Italy by Fincantieri for Costa, with a total investment worth more than 5 billion euro. “Costa Diadema is our new flagship, she will set new standards in the European cruise industry and further strengthen Costa’s leadership in Europe. She is the best expression of our new brand positioning: Italy’s finest. It`s passion and modern Italian lifestyle, hospitality and elegance” commented Costa Crociere S.p.A CEO, Michael Thamm.